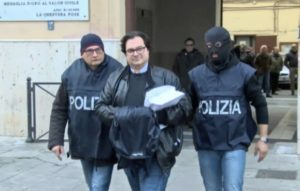 The Malta Gaming Authority has announced the suspension of a gaming license issued to Phoenix International Limited, the parent company of several online sites linked to last Friday’s arrest in nearby Italy of 23 alleged members of the Italian Mafia’s powerful Partinico crime family. Among those arrested in the sweeping enforcement operation dubbed “Game Over” was alleged mob boss Benedetto Bacchi. Bacchi, known as Italy’s “Betting King” has been reported to be in control of a chain of 700 betting shops spread across Italy, though centered in the Palermo region of Sicily. Those shops then transmitted information to Phoenix International’s online sites in a complex corporate scheme that involved undeclared and skimmed revenue, which was then used to fund other ’Ndrangheta activities. At least 40 of the physical shops associated with Bacchi’s network were shuttered as a result of the raids, which involved roughly 200 Italian police. Among the online sites quickly shuttered were B2875.com, Bsport24.com and B28sport.com; B2875.com lists Bacchi as an owner, according to the Malta Today report. The latest raids and arrests continue the intriguing tug-of-war going on between Italy’s powerful and entrenched criminal elements and the legal authorities in both Italy and Malta. Malta’s own desires to establish itself as one of the world’s preeminent online gambling hubs have been hampered to at least some extent by the powerful underworld elements that have long been entrenched on the island, which sits just south of Sicily in the Mediterranean Sea. On several occasions in recent years, both Malta and Italy have cracked down on gambling operations linked to prominent Italian crime organizations. One of those instances occurred in 2015, when Partinico-associated sites including BetuniQ and BetSolution4U found their Maltese licenses yanked following another series of Italian raids. The efforts of several Italian crime families to continue trying to establish operations amid Malta’s growing online sphere has been an ongoing occurrence as well. 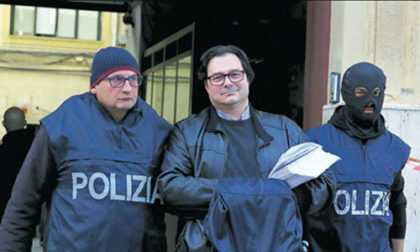 Just a month ago, the Times of Malta reported on the “advanced” plans of several Sicily-based crime families to shift the focal point of their illicit gambling operations to Malta, in an effort to evade increasing scrutiny from Italy’s feds. A decade ago that was easy enough to do: Back then, Malta’s gaming licenses came with little or no regulatory supervision, effectively making it a hotbed of underground activity. More recently, though, Malta has both embraced and been forced to take the high road and weed out those illicit operations, many of which had roots in Italy. That some of these same criminal groups had already infiltrated Malta’s old Lotteries & Gaming Authority wasn’t much of a secret, nor was it realistic that Malta would be able to clean up its own operations overnight. Nonetheless, Maltese officials recognized several years back how important proper-regulated online gaming would be for the island’s economy. That cleaning up will always be something of an ongoing process — if due to nothing else than the close proximity of the powerful Italian crime operations — but there’s little doubt Malta has taken major steps forward as well. It’d be silly to think that we won’t see more of these Phoenix International or BetuniQ crackdowns in the future, with those crackdowns involving Malta-licensed sites. Crime syndicates around the globe have increasing become expert in complex money-laundering schemes and the creation of nearly impenetrable shell-ownership structures. Those same crime organizations are too wealthy and entrenched to simply stop what they’ve been doing; they’ll just look for other ways and means to keep on doing what they’ve been successful with in the past. This whack-a-mole game may well be neverending.